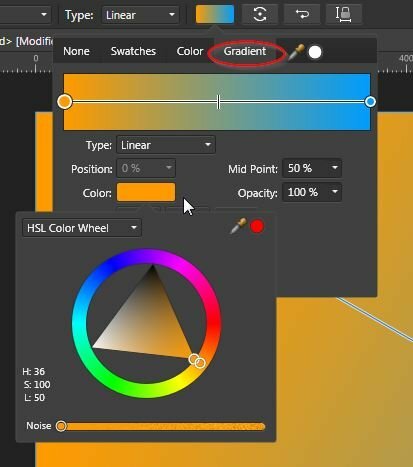 There seems to be an issue with color selection when using the gradient tool in 1.7.0.243. 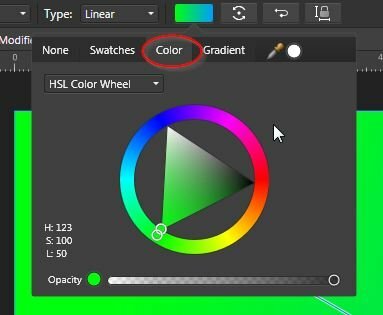 After creating the gradient, when I try to change the color from the color wheel in the gradient tab, the new color flashes briefly but the previous color remains. But when I change it from the color tab, it changes correctly.